It took everything in me to not sing, "By the Sea," from Sweeney Todd, as I arrived in Brighton for a short day trip, organized by the international student office from my university. I can only assume Mrs. Lovett was talking about going to somewhere like Brighton in that song, and from the way Brighton used to be 150 or so years ago, I could understand why escaping the filth of London and getting away to the seaside would be preferential. 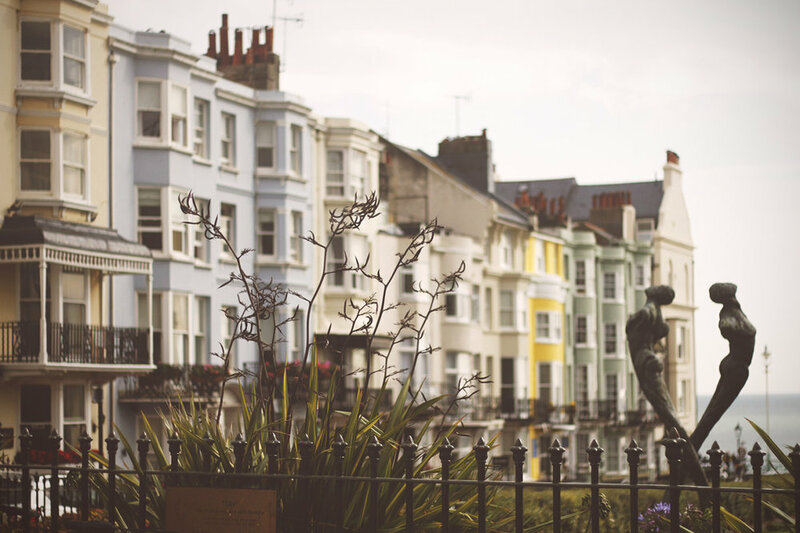 Nowaways, Brighton still revels in its popularity as a place to go to be by the water, but I can imagine, is more geared towards those who will use their time there as a swimming holiday, since the things to do there are a bit limited, and can be done in a day. Fish & Chips! 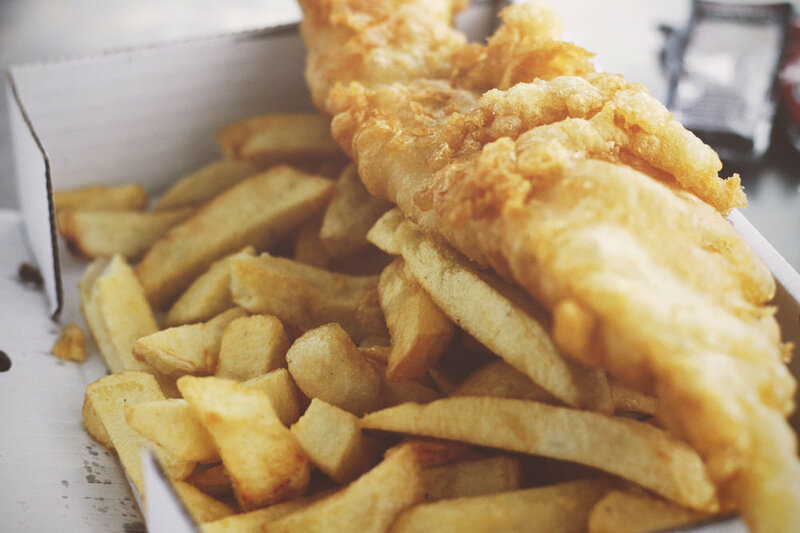 Definitely being one of the things England is famous for, it makes sense to come to the sea and get some fresh fish, paired with chips. To be honest, I could've done without them, just because the amount of breading in true, English fish and chips is way too much for me, but if you're walking along the pier, it's a good stop to make. Speaking of the pier, it's something you really should walk all the way down, because it's fun to see how they crammed all those rides and arcades onto a giant boardwalk. It's the Santa Monica of the UK, so it's worth a jaunt. 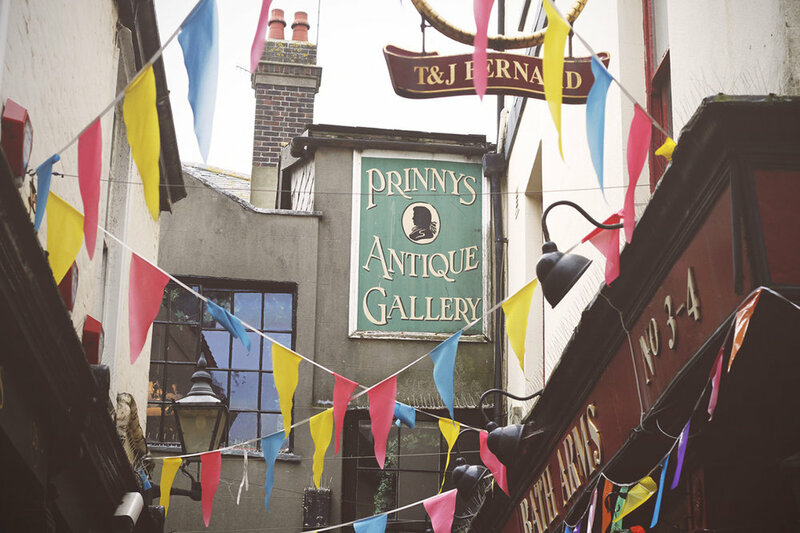 If you like vintage shops and small alleyways, The Lanes is the next place to venture to in Brighton. It's an area of town that features small shops amongst windy, narrow lanes. If I had more money and time, I would've popped into one of the stores and perused a bit more, but we were on a timetable and I definitely could not afford the asking price for some of the items. But if one is looking to propose, looking for an antique ring in one of these stores would make a partner very happy, since the jewelry here is gorgeous and definitely engagement-worthy. The Royal Pavilion in Brighton is a huge, Indian-style building, well worth a look. There are a few museums on the property, but with my tiny budget, I didn't venture inside, but even a look on the outside is fun. The architecture is very unique. Just walking around Brighton is also lovely. The rows of houses and shops are lovely, and it's a game to guess how much it would cost to live there, especially so close to the sea. 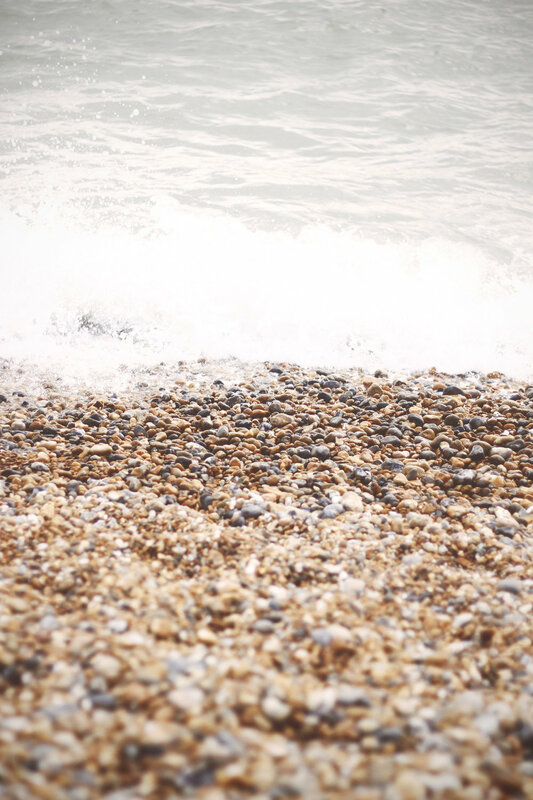 And then, of course, sitting on the beach and enjoying the sun and splashes of waves is what most people come to Brighton for. Perhaps I was spoiled to grow up on a beach, but the fact that there is no sand, and only rocks to make up the shoreline, is a bit strange, but there's plenty of seagulls to make up for that unfortunate fact. 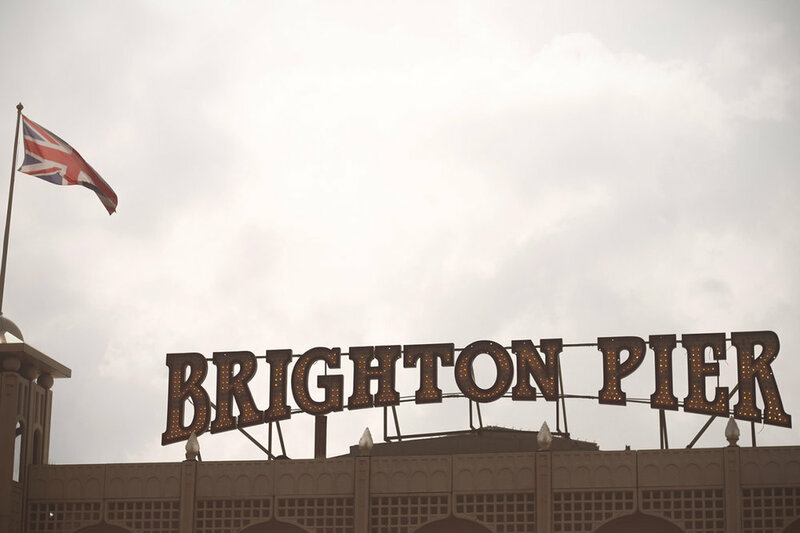 But overall, I liked Brighton a lot, and hope to make it back sometime soon.